Breed standards are based upon what is correct for the dog. Illustrated standard drawings depict what is interpreted as correct by the judges' education committee working with the artist. When working on an illustrated standard, an extremely wise committee member made a very good point. We all have different interpretations of our "ideal" vision of the dog. When reviewing an illustration, it is best to ask if the dog is "correct." Simply, yes or no. 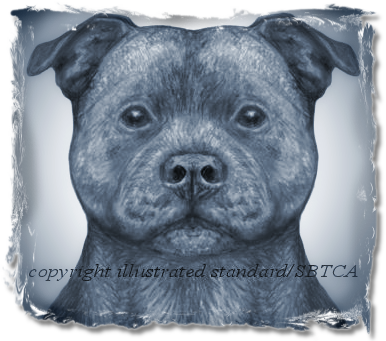 Creating an illustration which clearly reflects the text of the breed standard sets personal preference aside and aims straight at the essence of the dog. 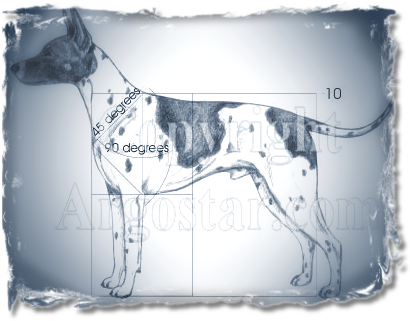 Measurement overlays reinforce the text of the breed standard and provide reference angles and proportions. A complex skeleton, fit into the correct dog drawing, reinforces the correct relationship of bone structure to breed standard. Correct drawings can be the building blocks when demonstrating faults. Comparison illustrations make it easy to see the particular fault when place in conjunction with the correct illustrated standard drawing. There can be many versions of correct. If it is important to the breed, variations of correct can be included. For example, that is particularly true if there are a number of correct coat patterns or markings. Coat patterns and markings can create illusions of proportions, even though there is no structural different. In a set of comparison drawings, this can be a useful tool. 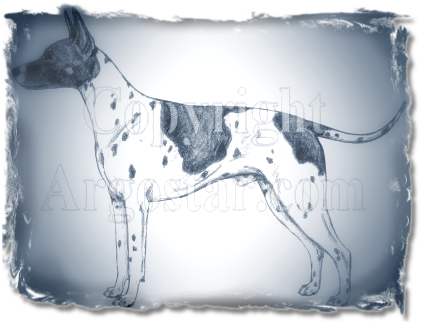 The "correct" breed standard drawings are the beginning of the project and all other drawings are built around them. Further use of the correct illustrated standard drawing adapts readily to demonstrate additional educational features.